Hope you all had a lovely weekend? We sure did. 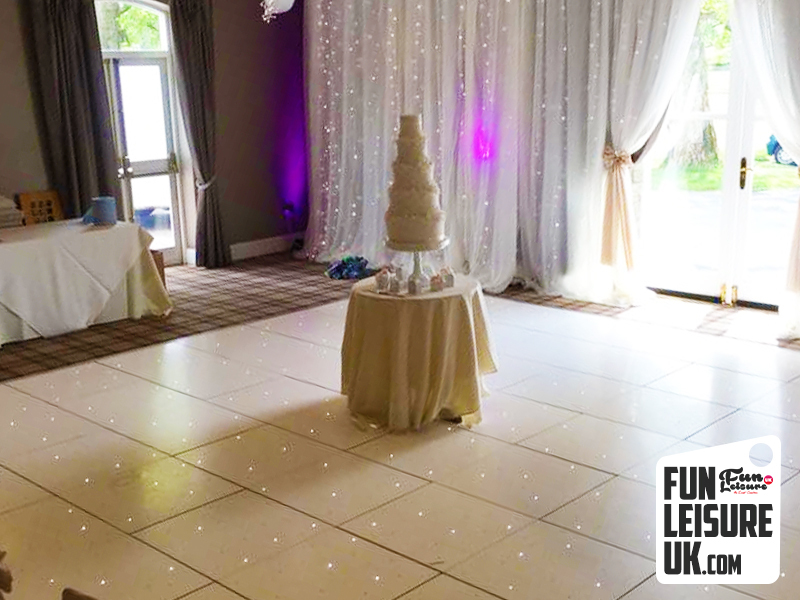 Alongside a fun weekend of events, a selection of our team was set up at wedding fairs, bridal shows and exhibitions across Lancashire on Sunday. At Fun Leisure we adore seeing you and demonstrating our products. To be honest, when a new product arrives at the office, we are like little kids in a sweet shop. So it puts a smile on our faces when you feel the same about using them at the wedding fairs. "Say Hello To Magic". 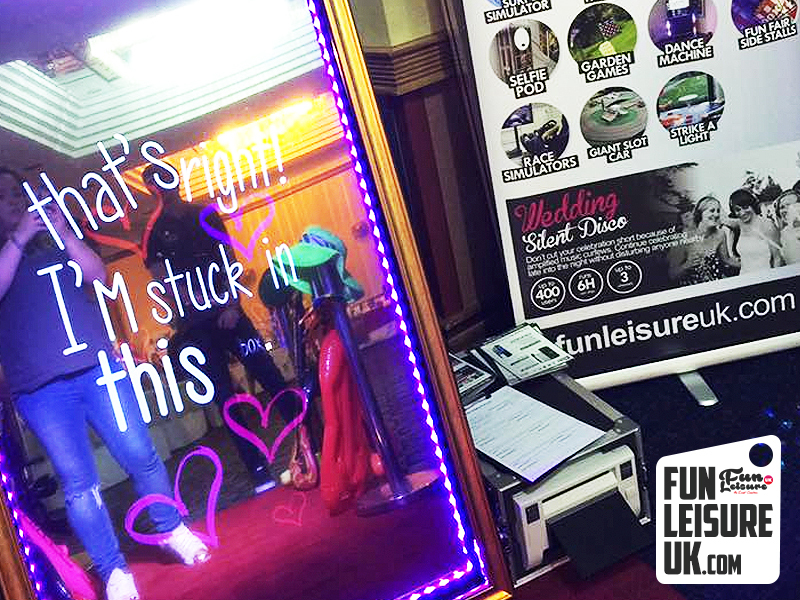 Magic from our Selfie Mirror made the trip to the Hilton Hotel, Blackpool. Would you like to meet this cheeky man? He's stuck inside this mirror for life, BUT, he's jubilant about it, and he wants to meet you. Grab a prop, strike a pose is always our motto. 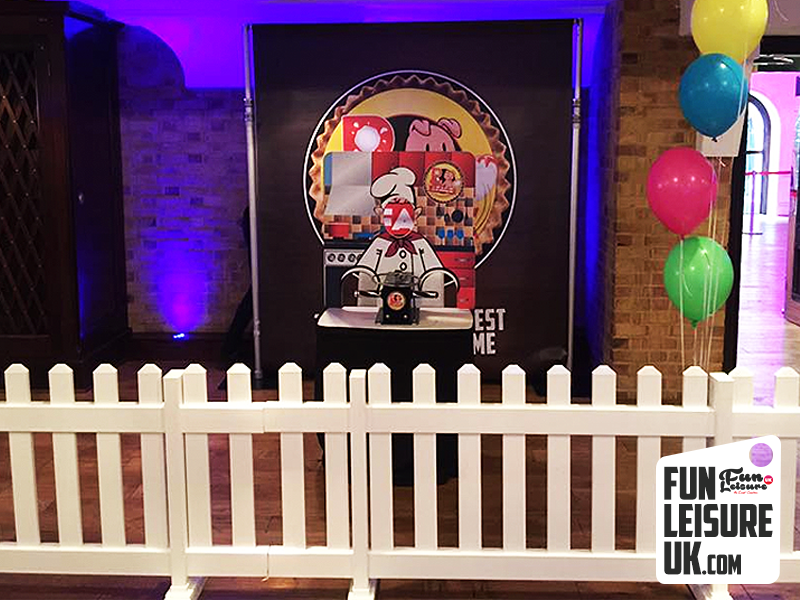 Copyrighted voice overs and animations created here at Fun Leisure HQ means "Magic", and his amazing magic selfie mirror is the only version of its kind in the UK, meaning that your event is 100% unique. We work in close collaboration with Creative Cover to supply additional products for their clients e.g. LED Dance Floors, Lighting/Sound and the Magic Selfie Mirror. At the weekend they were showcasing a selection of exciting products for the wedding market including table decorations, chair covers and draping. 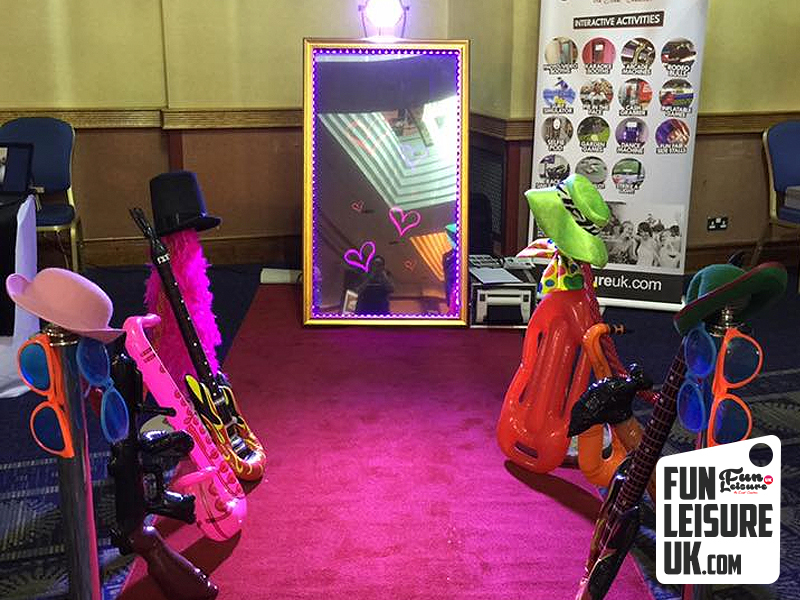 The Magic Selfie Mirror Hire is one of 300 plus products ready to hire to make your day unique and above all fun. Ideal for Corporate Fundays, Birthdays, Weddings, Christenings and even nightlife events.